Simple and modern design with tempered glass windows to showcase your build. Control the look of your desktop to fit your mood with 7 different RGB fan color options via reset button on the ride side of the case. 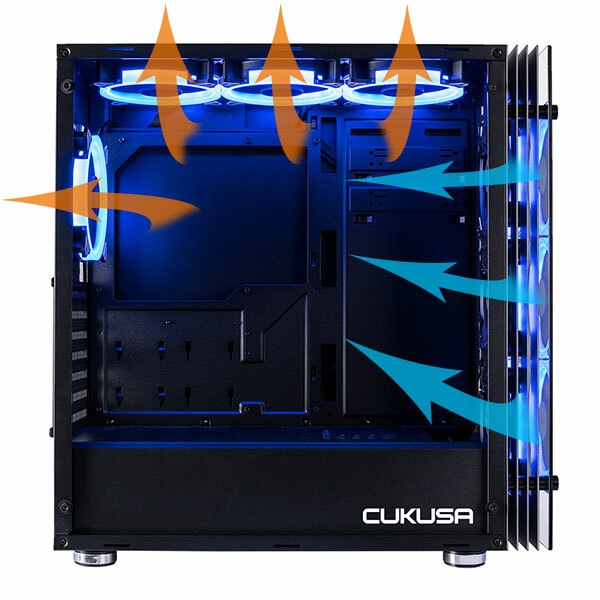 The CUK Stratos has been optimized for maximum airflow with 7 pre-installed 120mm LED fans (three in the front, three on top and one in the rear) making it an outstanding gaming case.